Kookaburra Organics is a leading provider of sustainable and practical workshops and courses in South East Queensland and Northern New South Wales. We conduct a range of hands-on workshops. 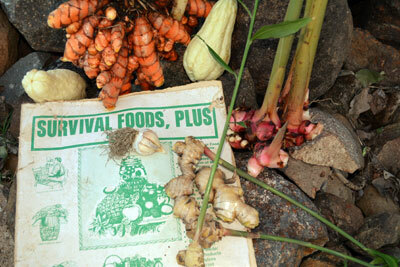 We will provide you with the right skills and knowledge to be a self-sufficient food grower. We will provide you with organic and sustainable practices utilizing simple solutions to assist you in maintaining a year round food supply that will not cost you the EARTH! We are a team of passionate presenters who regularly speak at Food Lifestyle events, Garden Clubs and Expo’s such as the Buderim Ginger Flower and Food Festival. We also provide private consulting services for food growing and conduct Corporate Team Building/Motivation workshops. If you are keen to grow your own veggies, join us at one of our workshops soon. 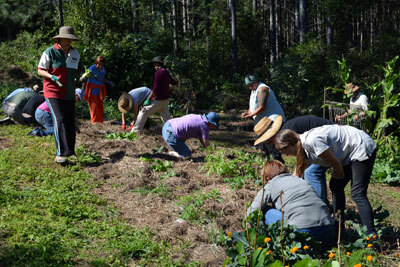 Our Kitchen Garden Workshops are conducted monthly. 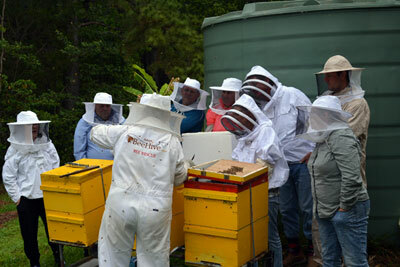 We take group bookings for all courses including Beekeeping. We conduct private food tours visiting real farmgate producers, not seen on the regular food trails.